The NRG Lite Range offer lots of natural light into your building where moderate solar heat and light management are required. The NRG Intermediate Range is recommended where a higher solar control is required than the Lite options. The NRG Optimum Range has the highest solar control whilst still providing medium visible light transmittance. 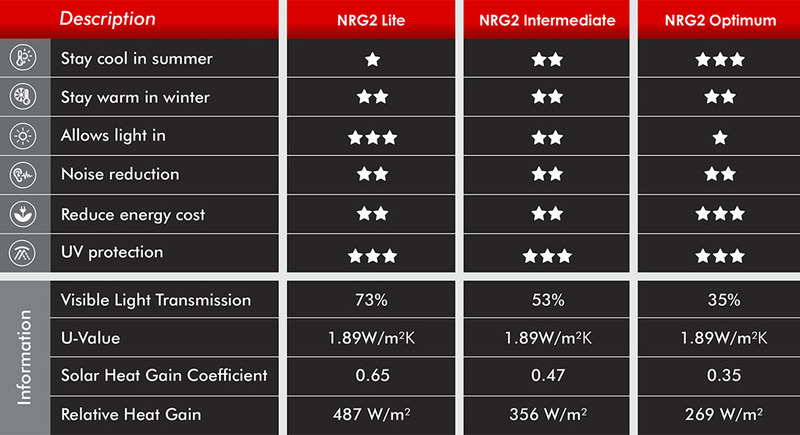 Select the correct NRG product to suit your project requirements. Visible Light Transmission is simply the measurable amount of solar visible light (daylight) that travels through a glazing system. A glazing system with a high VLT allows most of the daylight to pass through while a lower VLT window restricts the majority of light from entering a room. The U-value of a window is a measurement of the rate of heat loss indicating how well your windows are keeping valuable heat in. It is expressed as Watts per square meter Kelvin W/m2 K. The lower the U-value the better the thermal performance of the glass. The Solar Heat Gain Coefficient is the fraction of incident solar radiation admitted through a window, both directly transmitted and absorbed and subsequently released inward. SHGC is expressed as a number between 0 and 1. The lower a window’s solar heat gain coefcient, the less solar heat it transmits. 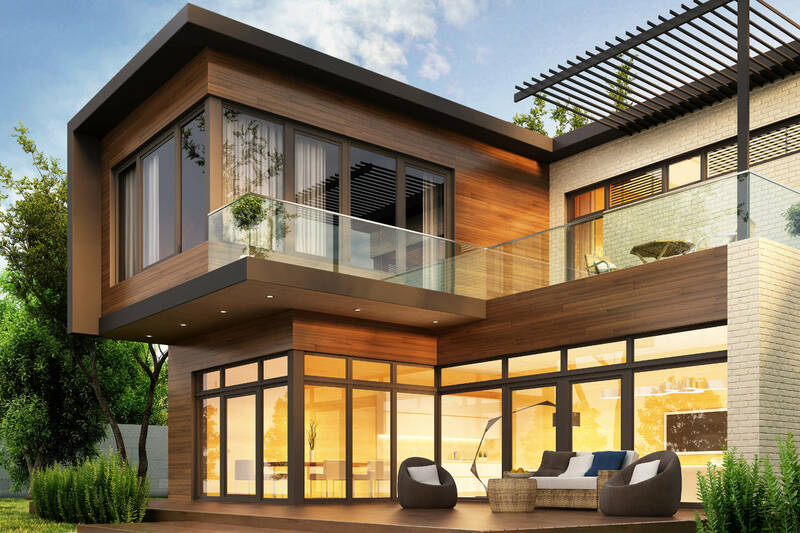 The Relative Heat Gain is the amount of heat transferred through glass or a glazing system, taking into account radiative (solar) heat gain and thermal conductive heat transfer.